I have discussed conquering the first element, , of being a practical Spanish speaker in the last blog. In this blog I want to address the second element – Spanish grammar. Some people prefer to use a grammar textbook to learn Spanish grammar and there are many options if that’s your preference. I recommend starting with a book that covers basic Spanish grammar, otherwise it can be overwhelming. This traditional method works best for people who are well-disciplined because it may take you months to get through a book. Using a Spanish tutor is another way to learn Spanish quickly. As I have mentioned earlier, it requires a great deal of self-discipline to study Spanish by yourself using a book to learn Spanish grammar. When you have a tutor, your tutor will guide you and motivate you to learn Spanish. Consistency and perseverance are one of the keys to learning languages because it takes time to master them. One of the advantages of learning through this method is that you learn by speaking Spanish with instant feedback if you make a grammatical error. Youtube is also a great resource for learning Spanish grammar. Just search a grammatical topic that you are studying and you’ll usually find several videos covering that topic. You can preview what you are going to learn or you can reinforce what you are studying. The YouTube video will often explain the topic in different way. The visual cues provided in the videos help to understand and remember the concepts also. Spandango has its own grammar program for different levels: Beginner, Intermediate, Advanced levels, Fast Track, Conversational and one for Children (7-11). Each program has a curriculum in PDF format that is included for free with our lessons. Our Spanish tutors send their students the PDF files before each lesson for them to preview and prepare for the next class. 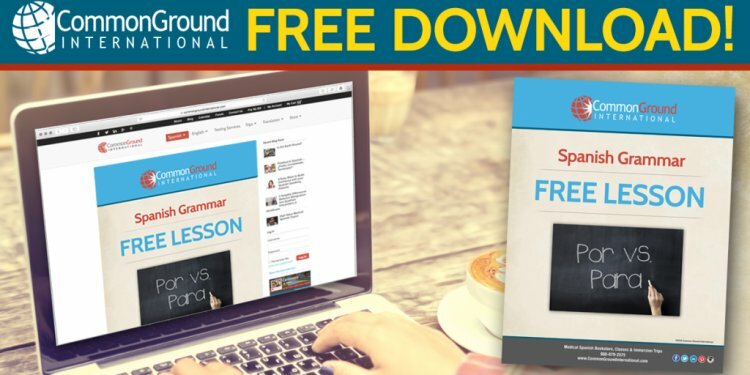 Each lesson in the Spandango programs also has links to YouTube and other external resources to help with the grammar topics. Find ONE grammar book that covers basic Spanish grammar to study. Use a tutor for the most effective and fun way to learn Spanish. Use YouTube site to reinforce and review topics in Spanish grammar. Intrigued? Schedule your first trial lesson and experience it yourself at today. I will discuss items, #3 Literary Fluency – Writing and #4 Reading from the list in my next blog. Stay Tuned!